lnvestments.com for sale on Flippa? Don't be that guy! :DomainGang lnvestments.com for sale on Flippa? Don't be that guy! lnvestments.com for sale on Flippa? Don’t be that guy! There’s an extra reason why domain marketplaces, such as Sedo, NameJet, GoDaddy Auctions, Afternic and Flippa do well with domain sales: buyer spontaneity. A buyer spending less than 60 seconds to decide on whether to buy a particular domain, make an offer or participate by bidding in an auction, is a spontaneous domain buyer. Such spontaneity can be costly, however.  Check out this domain at Flippa, lnvestments.com. 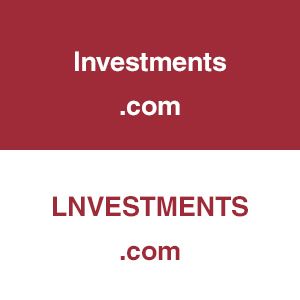 Currently priced with an opening bid of $1 dollar and a BIN of $220,000 dollars, it appears to be investments.com (all lower case) when in fact it’s LNVESTMENTS.com. There have been many cases where an IDN character or such other deceptive UPPER/lower casing manipulation led to the irreversible sale of many domains. In this case, what would help, is the forced UPPER/lower case presentation of the domain by the domain venue. Afternic forces domain listings to be lower case – on their individual page. Sedo displays all domains in lower case – on the details page they appear both in UPPER and lower case. Perfect. NameJet displays all domains in lower case – on the auction page there is a link to view in UPPER case. Almost perfect solution.  GoDaddy Auctions displays all domains in lower case – on the bidding page the domain is listed in both UPPER and lower case, with the letters spaced apart for legibility. Tremendous idea! Flippa apparently allows listings in any arbitrary casing set by the seller – with no casing info on the details page, which can lead to problems such as these. From a seller’s perspective, offering such domains is an outright attempt to offer a domain on the pretext that it’s the real thing. Capitalize Every Unremarkable Domain Headline, End In Exclamation Point! Ridiculousness. People will try anything. Kevin – perhaps creating listings in either all caps or all lower case will solve the problem. That is a wrong selling method, i think flippa should force people to put things in small caps for domain names so that it becomes easy for buyers to see what domain name they are about to buy. Hi Kevin – It’s very easy to deceive someone by lowercasing the first letter in a way that they anticipate a capital. The best approach is to display both upper case and lower case at the same time. Eg LNVESTING/lnvesting. This way no gaming of visuals occurs. Thank you for taking care of this.